Dr. Lombardo is starting his twenty-fourth year in education and sixth year in human resources. Dr. Lombardo was a 7-12 mathematics teacher for eight years and a building-level high school administrator for 10 years, eight of which he spent as a high school principal. Dr. Lombardo earned his Bachelor of Science degree from The Ohio State University in 1992 and his Master of Education degree in Administration and Superintendent License from Cleveland State University in 2002. Dr. Lombardo completed his doctorate in Educational Leadership from Northcentral University in 2016. Dr. Lombardo is the Past-President of Northeast Ohio Association of School Personnel Administrators (NEOASPA) and Past-President of Ohio Association of School Personnel Administrators (OASPA). Dr. Lombardo believes that working towards the best interest of students is paramount. 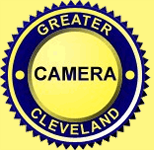 The Cleveland Heights-University Heights City School District is proud to offer a tradition of excellence in our educational programs for students and in our work environment for employees. If you experience any difficulty in completing the online application, please contact Marisa White, Confidential Administrative Assistant, Human Resources, at (216) 320-2031 or e-mail her at ma_white@chuh.org.